Whenever I talk about the benefits of a virtual summit people get excited. But after a while they get discouraged because they didn’t take into consideration everything they need to do. Creating your schedule around others – One of the best parts about virtual summits is that you’re getting other experts to help you create content. But that’s also one of the most challenging parts – dealing with other people’s schedules and the time differences. Coming up with a topic that people care enough about – sometimes you may think of something that works for you, and start building a summit around it, find awesome speakers, and then realize that people don’t care about it, people are not signing up, or they are not buying. 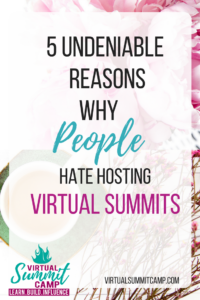 Dealing with so many moving parts – there are so many parts of the virtual summit, that when it’s done right it seems so seamless, but when it’s done poorly it shows. Technical difficulties – Because of all the tech involved, when you’re all set and all of a sudden things are not working, it’s easy to want to give up, or when you think of all the tech that might be involved, you’re tempted to want to just let it go, but you don’t have to. Dealing with the discouragement – sometimes as time goes by and you look at your never-ending to-do list, you begin to wonder if you made the right decision, and if you’ll ever be successful with your virtual summit. Especially when it dawns on you that you need more than just the book. 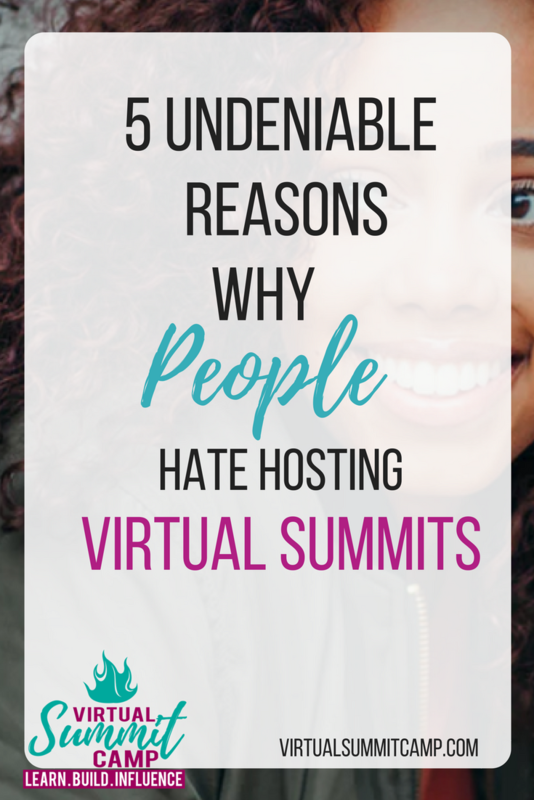 Well take heart even with all those challenges, anyone who has launched a virtual summit will gladly tell you that the benefits far outweigh the challenges. One of the best things you can do to help you deal with the challenges is to join a community of people on the same path. In Virtual Summit Camp not only do we coach you on how to launch your successful virtual summit and take you step by step through the process, but we also create a community for you to collaborate with others, get encouragement and get your questions answered. What are your thoughts? Have you experienced any of these?